Okay, we covered in painful detail Why You Want to Avoid BPH (Benign Prostate Enlargement) Like the Black Plague. Again, unless you somehow enjoy urinating every hour on the hour day and night, BPH (Benign Prostate Enlargement) is not for you. But can you really do anything about it. Can you avoid BPH (Benign Prostate Enlargement), or is it a Mack Truck with your name written on the grill? As usual, the answer is that the research you can avoid it through proper diet and other natural solutions. NOTE: Be sure to discuss any change with your doctor. 2) Vegetables. Dr. Kristal found that "eating four or more servings of vegetables daily was associated with a 32 percent reduction in risk". Vegetable and plant consumption, again, is a hallmark of the Low Fat (or Ornish Diet) and really the Mediterranean Diet as well. 3) Alcohol. 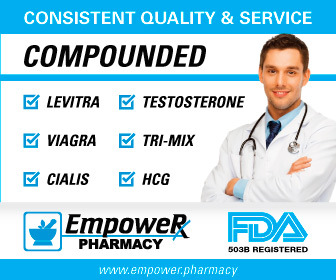 This is counterintuitive, because many believe that estrogen is kind of "anti-prostate" as alcohol give estrogen a longer shelf life in the body. But moderate drinking (of 1-2 drinks per day and no more) led to a 38 percent reduction. For a more in-depth discussion of alcohol, read here. 4) Onions and Garlic. Recent studies have shown that onions and garlic very significantly lower the chances of BPH (Benign Prostate Enlargement). Onions were found to be the most protective but garlic was also a powerful BPH Protector. Men who ate onions four or more times per week had a 59% lower BPH risk than men who never ate onions. Garlic was also found to be protective: men who ate the most garlic had a 28% lower risk than men who never did. 6) Red (or Yellow) Maca. One study on rats showed major prostate shrinkage in rats using red maca and some shrinkage using yellow maca. Researchers are not totally sure why but note that maca is actually a cruciferous vegetables just as broccoli, cabbage and cauliflower are and thus it is very high in phytochemicals called glucosinolates. These glucosinolates are converted downstream to I3C and other important prostate shrinking and protecting chemicals. You can also read about Maca and Testosterone, Libido and Fertility. 8) Insulin Resistance. Several studies have noted a connection between BPCH and insulin resistance. IR seems to change molecular signaling within the prostate and actually trigger the growth that we associate with Benign Prostatic Hyperplasia. Of course, there are many things that can reduce insulin resistance and I cover these in my link on Metabolic Syndrome. 4) Reproductive Bilology and Endocrinology, 2005, 3:5, "Red maca (Lepidium meyenii) reduced prostate size in rats"
5) European Urology, 2008, 53:1228-1235, "Physical Activity, Benign Prostatic Hyperplasia, and Lower Urinary Tract Symptoms"
6) European Journal of Pharmacology, Sep 2010, 641(2-3):75-81, "Insulin-resistance and benign prostatic hyperplasia: The connection"